The Print Brokers offer NCR sets in all sizes and available in 2, 3, or 4 parts. 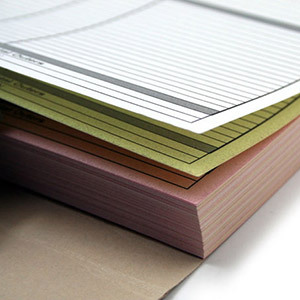 NCR sheets are typically used for invoices, sales receipts, order pads and job sheets. Please let us know your requirements in the comments field opposite.